When I first saw the collection, I was instantly drawn to the larger scale prints called Meadow Blossoms. They are so beautiful! But still have that fun and playful vibe. 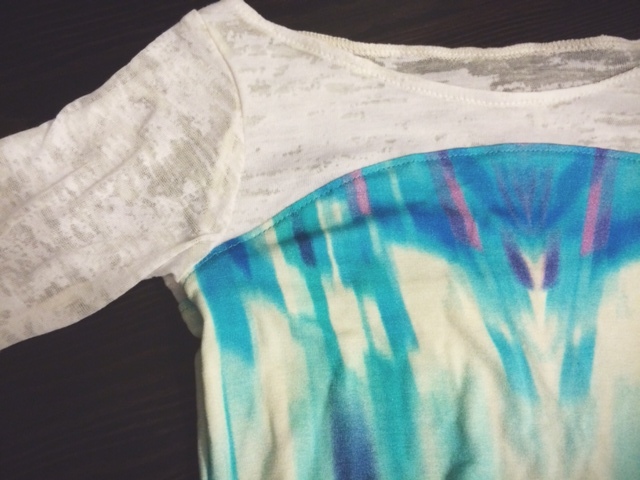 I knew that I wanted to make something for me – maybe a top, tunic, or a Washi dress? Well, clearly it did not become any of those things. I decided instead on some fun summer pajama pants! The length was really only because I didn’t have enough fabric for full length pants, but I loved these cropped pants for the warmer months. The fabric is AWESOOOOOOME. The colors are so vibrant. 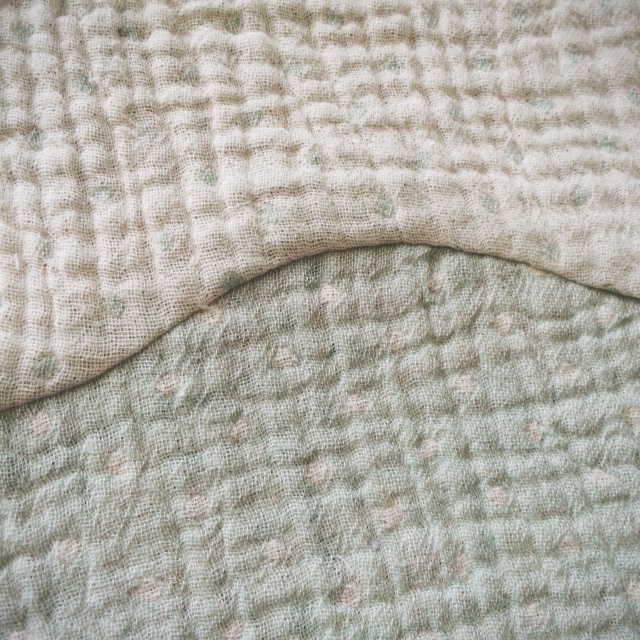 It’s a quilting cotton, but it’s definitely suitable for garments. It’s organic! Probably the first piece of organic clothing that I’ve owned. What a treat for me! And it’s oh so comfy! I haven’t taken them off since these photos were taken yesterday and I’d wear them all day if I could. At first I wondered if it was a shame, using such beautiful fabric for something that would only be warn around the home. But they will get soooo much more use this way, than if it was a dress. And they make ME happy, so that’s not a waste! 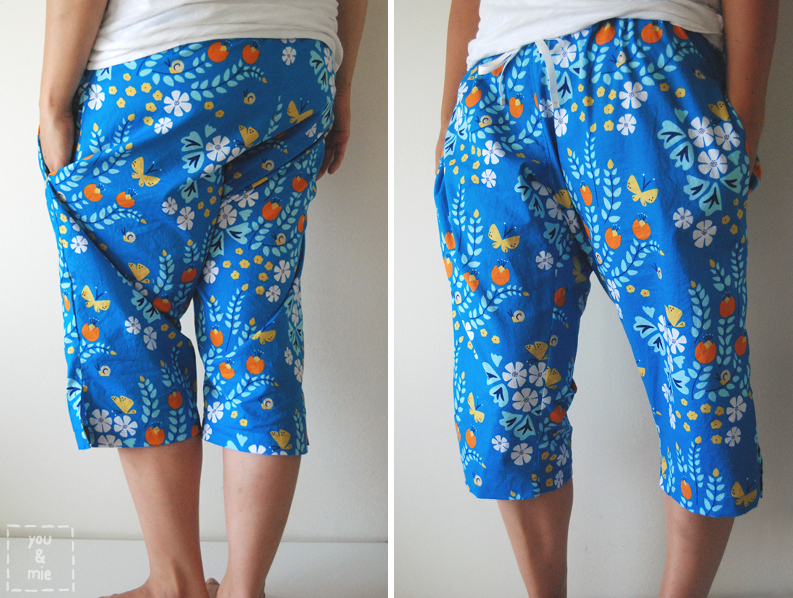 The pattern is adapted from the only women’s bottoms pattern I own, the Iris Shorts by Colette, which I’ve never actually sewn (but maybe this summer)! I had to do alllll sorts of adjustments and tweaking to make this pattern work as pajama bottoms. I made a muslin because I was worried about messing up this nice fabric on a pattern that wouldn’t fit. 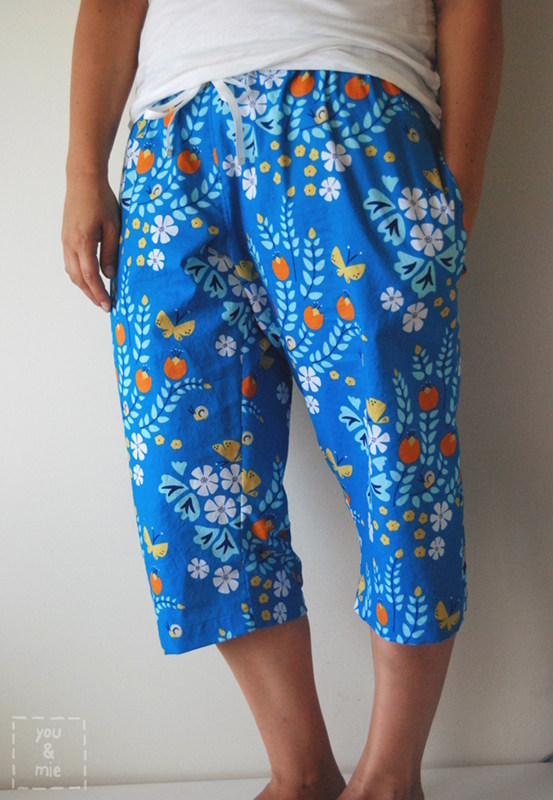 I’m still tweaking the pattern a bit, but it’s almost there and now I can make pajama pants for both me and Hideko! 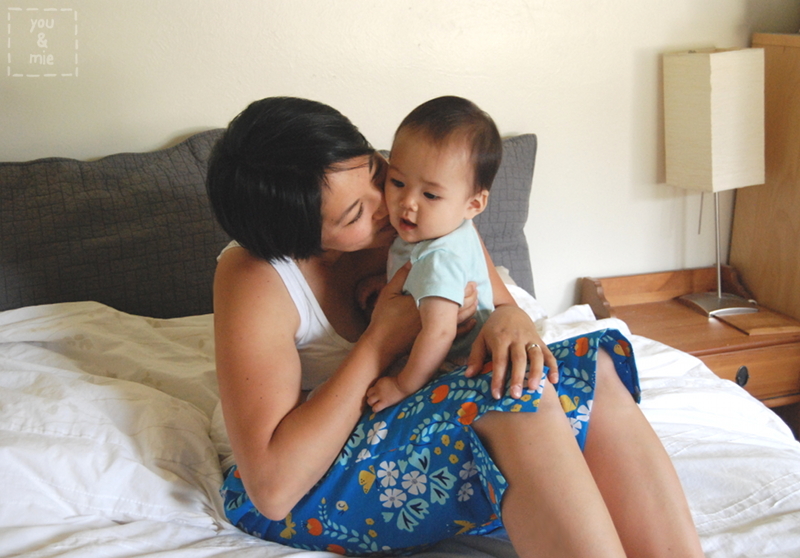 I used the pockets from the Washi Dress to add to the PJs, but accidentally put them in too low. My arms need to be about 2 inches longer. Or perhaps I should have just sewn them in 2 inches higher . 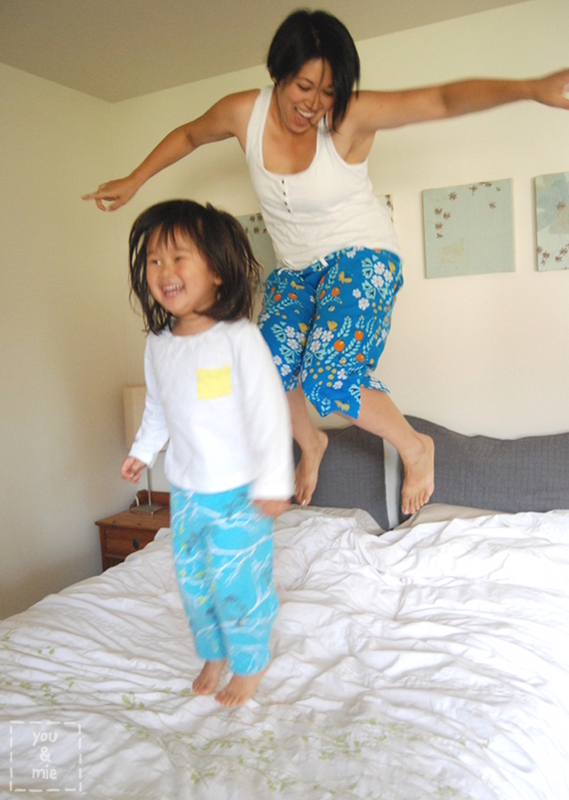 . .
And because no pajama photo shoot would be complete with jumping pictures (and because I’m a complete dork) . . .
WOOHOO! Rae Hoekstra, you’ve done it again! 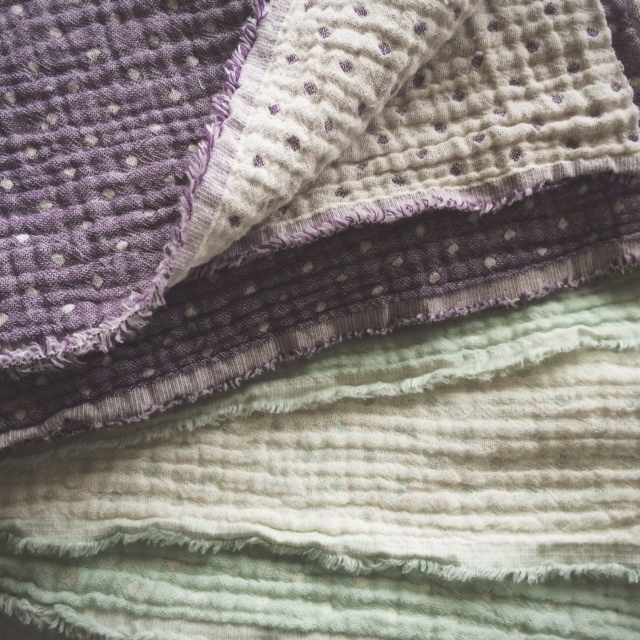 This fabric is perfect for clothes, both for kids and adults, as well as fun accessories (a toddler backpack would be awesome) or an amazing spring quilt or picnic blanket!! 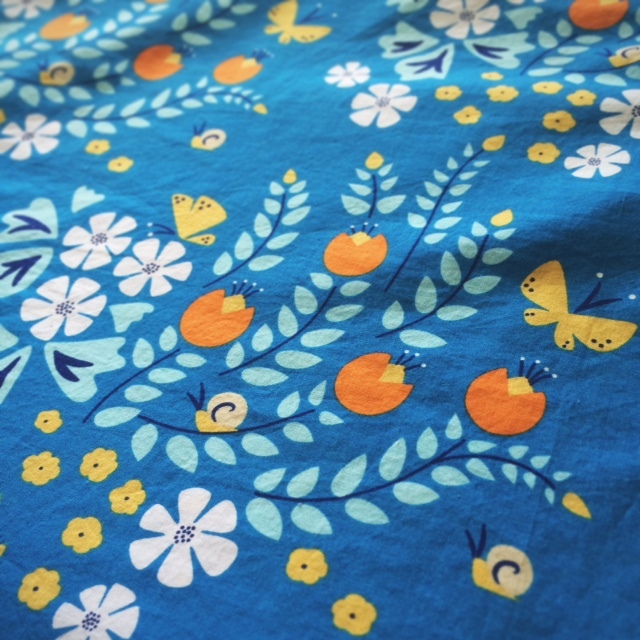 I’ve actually got some of the Fluttering Fields fabric that I think will become a dress for Yuki. Over the next week, some of Rae’s friends are going to be sharing their Lotus Pond creations in a Lotus Pond Extravaganza! 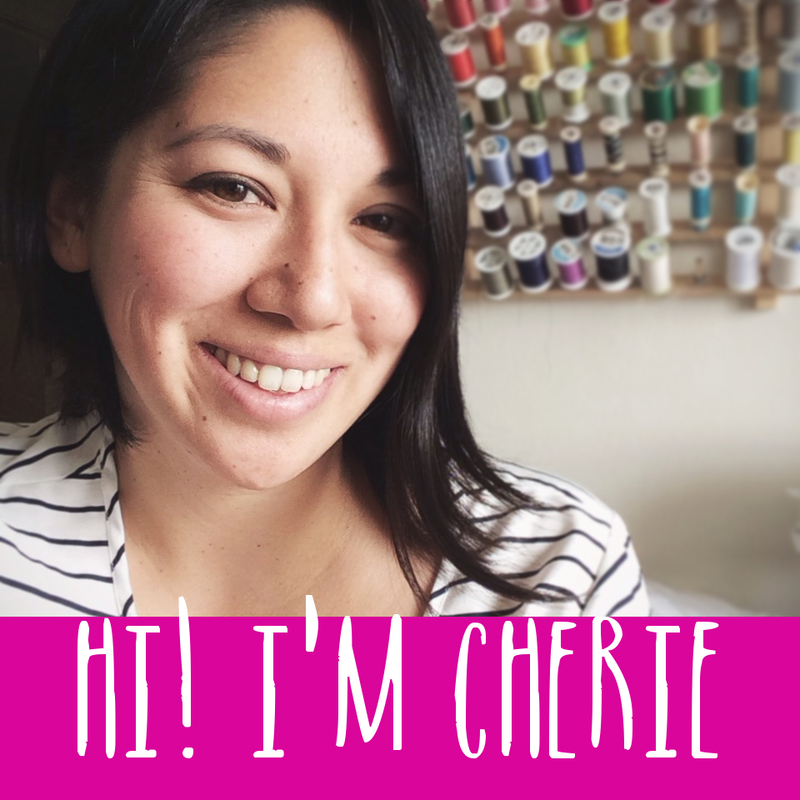 I’m happy to be kicking things off, but be sure to check in with Rae’s blog to keep up with all the posts (she’ll be linking to them every few days). You don’t want to miss a thing! CONGRATS BETH! You are the winner of this giveaway and you should have received an email from me! Thanks to everyone for entering! Yo! 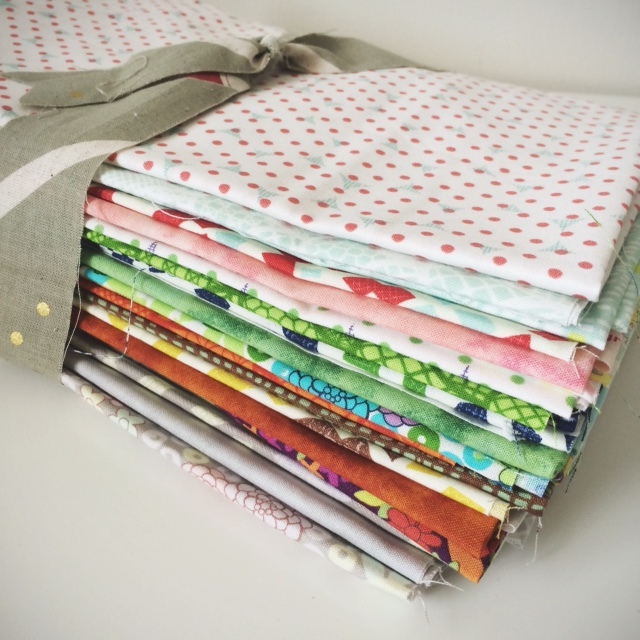 I’m back with another giveaway for Sew Mama Sew‘s Giveaway Day! This time it’s fabric! 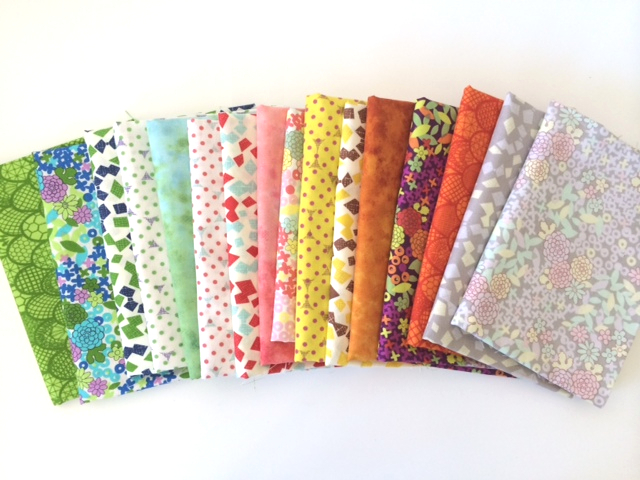 I’m calling this the Quilter’s Delight Fabric Bundle because it includes a lot of smaller cuts of fabric. 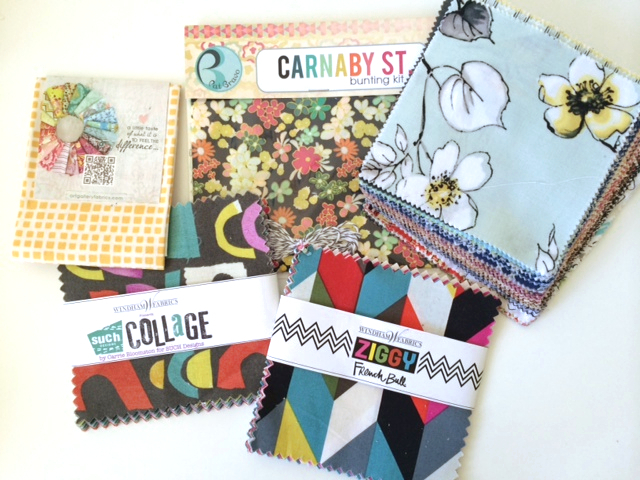 Everything from 5×5 inch charm packs to fat quarters and near half yard cuts. Some of the fabrics have pieces cut out of them, but it’s pretty minimal. There’s still a ton of usable fabric. I’m including some of the new Kokka Irome collection . . . 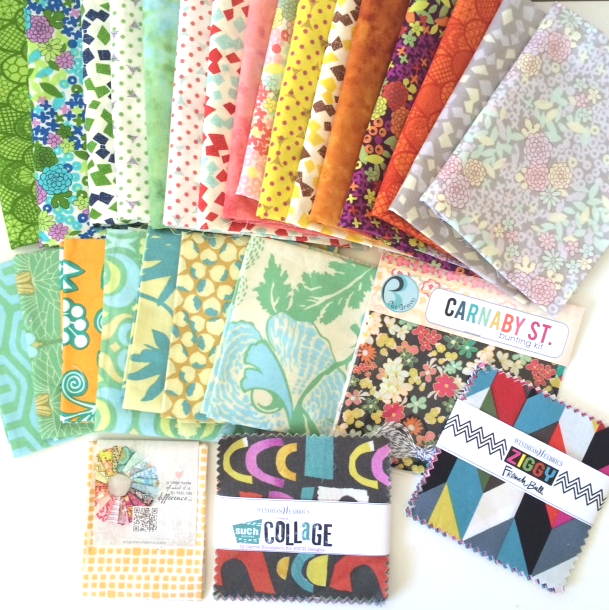 Some Amy Butler fat quarters . . .
– Leave a comment on this post telling me what project has been on your “to do” list the LONGEST. What have you been meaning to get around to forever, but haven’t quite gotten to yet? – Follow you on Pinterest and leave a comment telling me you do so. – Follow me on Instagram and leave a comment telling me you do so. Be sure to take a look at all the other giveaways happening this week on Sew Mama Sew: Handmade Items and Supplies. Or maybe I should say floor . . . My fabric is kind of all over the place when I work . . .
Anyways, I don’t have a finished project today, but just felt like checking in with some projects that I’m currently working on and fabric that I’m working with. First up, is this amazing TRIPLE gauze. Yes, that’s right – not double, but triple. It came out of the wash like a dreamy fluffy cloud! It’s basically already quilted. I love the cozy, yet super lightweight feel. Oh, and it’s reversible. This fabric is for my next Miss Matatabi Makers post. Here’s a little peek of the project in progress. Can you guess what it is? I’m using a JUST released pattern. Look out for the finished project on Miss Matatabi in a week and a half or so. Well, I bet you’ll have an easier time guessing that THIS is going to be!! Here’s a hint – it’s for Yuki, and she’s absolutely frozen with anticipation. Oh, she’s officially OBSESSED with the movie! And she’s suddenly reeeally into dress up/costumes at her school. *sigh* I suppose it was inevitable and there’s no point fighting it now. I made the mistake of showing her the bodice that I was working on and every day since then she’s asked me, “Is my dress done yet! ?” Truth is, I could finish it pretty quickly, but I’m trying to think of something Yuki can do to earn the dress. Recently, we’ve been feeling like she’s getting pretty spoiled. We give her lots of things without her having to work for it. So I’m worried that she doesn’t understand the value of anything. We started assigning her some chores and we’re trying a sticker chart, so I think I’m going to tell her that she can have her dress when she earns 10 stickers or something like that. 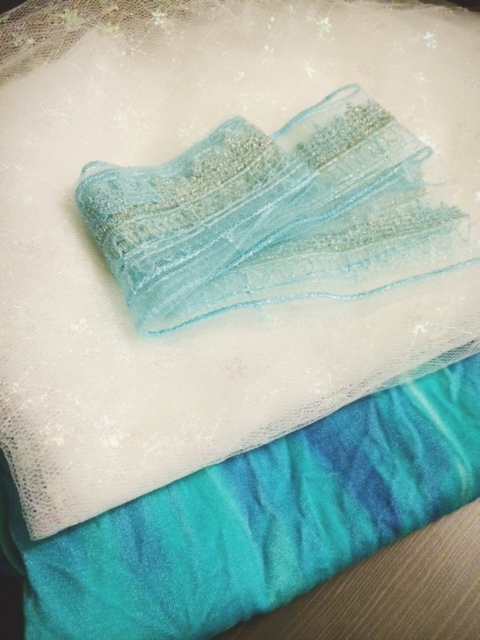 So yeah – an Elsa inspired dress (definitely not going for an exact copy) is on my sewing table right now. 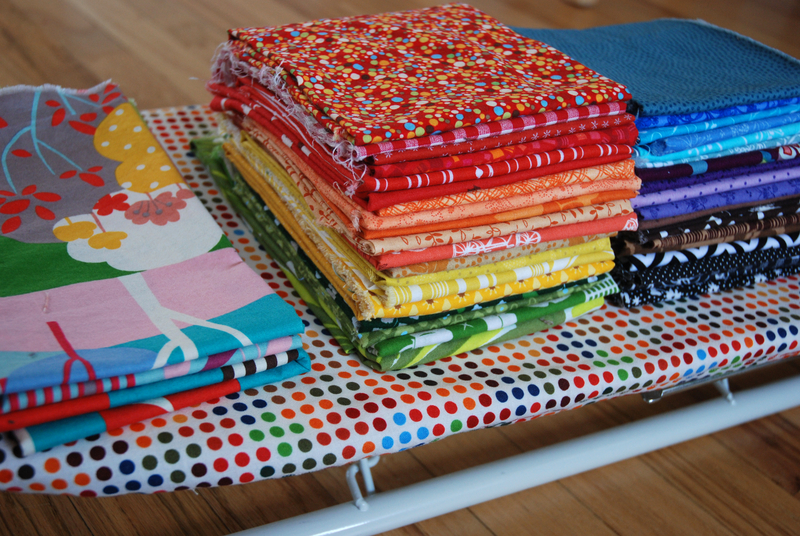 And this lovely stack of fabrics arrived just yesterday . . .
It’s the new line, Irome, from Kokka. 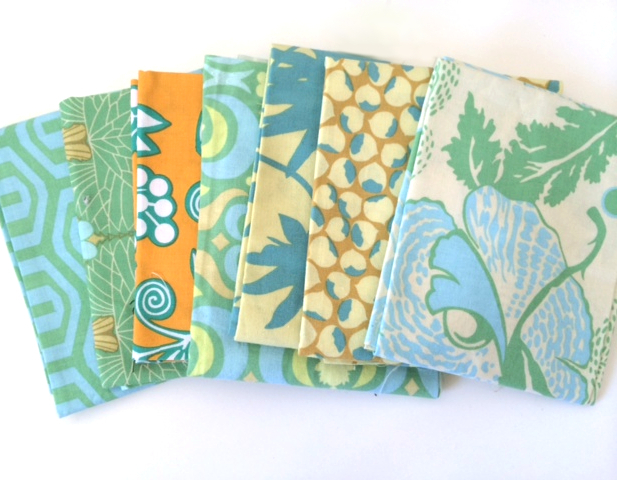 I’m still in the brainstorming phase for these fabrics, though I have a couple of ideas. 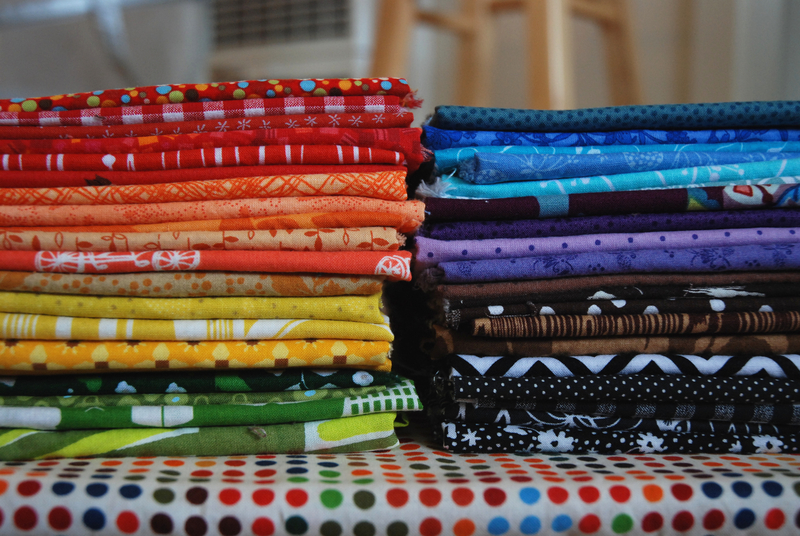 What would you make with a stack of colorful fat quarters? And what’s on your sewing table? Our whole house has been sick for over a week, but I think we’re finally getting better. At least Yuki is better and that makes things waaay easier. I’m trying to get back into a blogging schedule and this week I have at least two projects to share with you. This year for my sister’s birthday, I told her I’d make her a skirt as her present. So we found this tutorial from Creative Spaces for a party skirt and went fabric shopping. I took her to my favorite fabric store in the city, Peapod Fabrics, and she picked out this gorgeous Japanese fabric that just screamed AUTUMN. It was perfect. I like to call this color burnt butterscotch. It’s such a rich warm color. It took me forever to actually make, so instead of being an autumn skirt, it ended up being a winter skirt. But I finally finished it and decided to make Yuki a little matching number with leftover fabric. Yuki’s has a flat front, elastic waist in the back and ties for a bow that can be tied in the front OR back. My sister’s has a zipper in the back and a removable sash that can be tied in the front, back or taken off completely. The only thing I forgot to add is pockets!! It would have been a great addition. These pictures are of the kid’s version of the skirt. 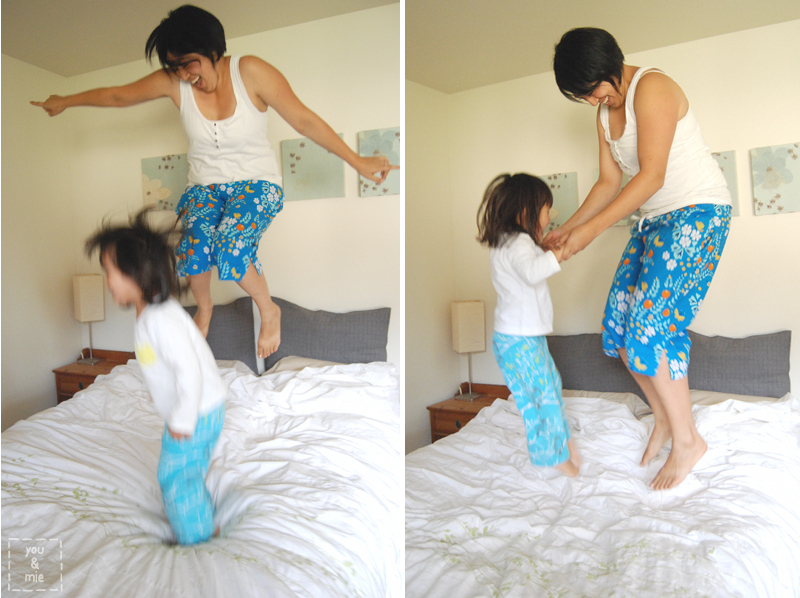 Here’s some pictures from our Auntie-Niece photoshoot! Happy Belated Birthday to my sister, Julie. Isn’t she beautiful? I swear, she got the beauty, the brains, and the heart. She’s absolutely amazing. Best sister and fantastic aunt to Yuki. AND she lives close to us. We’re so lucky! In shop news, I’m really starting to feel the pressure as holiday shopping season officially has begun. I think I’m abandoning my “grand opening” idea and planning on just opening the shop with one or two items and adding more as I have them. 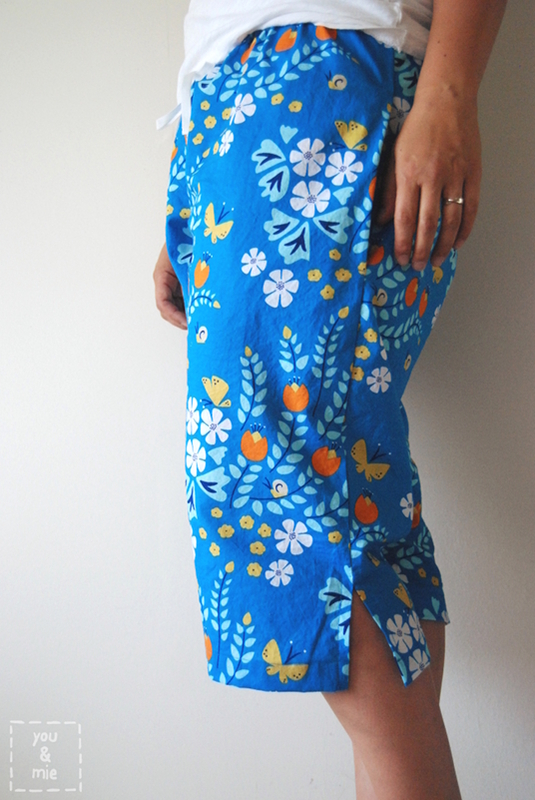 I’ll keep you all updated, but here’s a secret – the kid’s version of this skirt (with pockets) will be available in the shop! Just a little look into my upcoming project . . . Anyone want to guess what it might be? ?